In The Center Of My Mind...: What Kind of Seed Are You? What Wisdom lies in this parable...one of my favorite in regards to understanding my spirituality. "What kind of seed am I?" I remember asking myself this at the beginning of my current journey which began some 25 years ago. Smile...even now I ask myself at least once a week. This self inquiry is more rhetorical than anything; asking myself questions periodically is a "checks & balance" ritual for me. It is more a need to remain in touch with myself than a search for a literal answer more times than not. Within a misguided, gravely distracted society, this ritual forces me to constantly assess my relationship with my source, and essentially, my self. WHAT KIND OF SEED AM I? (Meditate on this using the exercise from February 19th). "When anyone hears the word of the kingdom, and does not understand it, then the wicked one comes and snatches away what was sown in his heart. This is he who received seed by the wayside. But he who received the seed on stony places, this is he who immediately receives it with joy, yet he has no root in himself, but endures only for a while. For when tribulation or persecution arises because of the word, immediately he stumbles. Now he who received seed among the thorns is he who hears the word, and the cares of this world and the deceitfulness of riches choke the word, and he becomes unfruitful, But he who received seed on the fertile ground is he who hears the word and understands it, who indeed bears fruit and produces: some a hundred fold, some sixty, some thirty. Think back over your life and write your thoughts in your journal. When you encounter lessons and/or spiritual wisdom, do you HEAR? 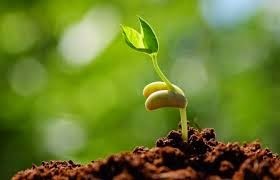 We must be willing and open to receive universal instruction in a manner that parallels the way that good soil receives seed (spirituality/Wisdom/Scripture). This is the key to producing fruit or manifestation. Even still, it is not enough to just hear; the work does not stop there. Many humans deceive themselves, thinking that hearing is all that they have to do. They say, "I go to Church so I am spiritual" or "I heard it on television so I understand." We must drink deeply from our spiritual cup...those things we cannot see, but hope for and aspire to. We must work daily to apply the wisdom we acquire to every aspect of our lives, keeping in mind what kind of seed we actually are. Knowing our own natural proclivities is very important. God intends for those called to be Master Teachers to step up and walk in our Destiny. James, the stepbrother to Prophet Jesus, in chapter 3:1 says that not many of us should become teachers because those of us who teach will be judged more strictly. But what if you ARE a Master Teacher? How will you ever know if you don't sit still long enough to know who you are? Now meditate on that.